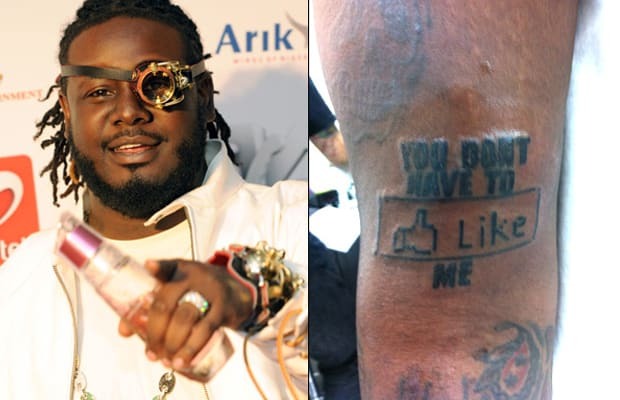 Teddy Penderass thought he was making a fashion statement after getting the Facebook-inspired design on his arm during a trip to Hawaii. “I get a tattoo every time I come to Hawaii. I think this one is pretty sweet, unless facebook shuts down soon,” tweeted the Auto-Tune crooner. You've officially been chopped and screwed.